Setting goals creates focus, measures progress, provides direction, motivates, and also results in engaged employees.It improves performance and leads to a successful company. But the question has always been : What can be done to effectively achieve company goals ? To have more chance to achieve company goals, it is important to choose a good method of goal setting. Below are the list of most famous and effective method you can try in your company. The term SMART was first written by George T. Doran in a published paper : “There’s an S.M.A.R.T way to write management goals and objectives”. Using the SMART method provides a clear and simple way to define and manage company goals. What does the company want to achieve? Where will the goal be achieved? Which resources will be needed to achieve it? These questions will give clarity on what the goal is about. Achievable: How realistic is the goal? Can it be achieved? Achievable goals have the tendency to be successful. It should stretch abilities, but at the same time, it should be possible to attain. Considering other factors, how realistic is the goal? Is the goal achievable within the time frame? The questions above will help in considering influence, resources, and the work environment in achieving the goals. Relevant: Does this goal have a potential to impact your company’s vision and values? When setting a goal, it should be instrumental to the mission of the company. The goal must mean a lot to the company. Is it solving an issue? Is it moving everyone forward? What questions is the goal answering to? A goal that is relevant will be worthwhile, will match efforts and needs, and it will be the right time to achieve it. Time-bound: A goal should have a deadline to focus on and with something to work toward. This will enhance priority and eliminate waste of time and probably resources. When a goal has an end date, the focus will be on it and not on daily activities that can affect the long-term goal. For every goal, includes a timeframe, specific date, milestone or something that can indicate when it will end. Intel invented OKR in the 1970s and was birth by the MBO (Management by objective) system. This method of goal setting is used by fast growing companies like Google, Twitter, Zynga, Uber, etc. Its purpose is to help the company achieve great execution by keeping teams focused and working towards the same result. OKR is a list of qualitative goals, set for a period of time, usually quarterly. An OKR design from https://happierco.com, an effective goal setting solution. The objective is what you have to accomplish with at least 2 key results that are quantitative metrics. The main characteristic of the objective is the fact that it should be very ambitious and seems impossible to accomplish. The key results help to measure the progress of the objective. It can be based on anything you can measure, like growth, revenue, performance, or quality. OKR creates focus, aligns team efforts, and ensures that everybody is working on the same company goal. OKR is a goal setting method that has proved successful time and again. To make OKR work for your company, it must be done right. You can learn more about how to successfully implement OKR here. When using the methods listed above, it is important to consider these Locke and Latham goal setting principles. These 5 principles was a result of a joint research on the theory of goal setting between Dr. Edwin Locke and Dr. Gary Latham. It shows that there’s a relationship between a difficult and specific goal and people’s performance. With these principles, employees get to perform better in their daily tasks. Clarity: A Clear goal results in higher performance, as it guides actions and behaviors. Just like setting SMART goals, if your company goal isn’t clear and measurable you won’t know if it has been achieved. A clear goal keeps you focused and makes it easy to identify necessary steps and what needs to be done. Challenge: When a clear goal is challenging, it is equally motivating but it shouldn’t be impossible to achieve. The more difficult a goal is, the harder employees work on it. According to research, challenging and difficult goals leads to higher performance, as it brings about greater rewards and satisfaction. Commitment: There’s higher performance rate when employees are committed to the company goals. Involve your employees in the process of setting these goals. Let it be something they will really want to do. There’s a greater tendency of an unaccomplished goal if you fail to take the time to help them build rational and emotional commitment to it. Feedback: Goal setting requires feedback. Don’t wait until the deadline to review the progress of your goal. Take time to ask and receive feedback on how well the company is performing. Feedback will help in making adjustment along the way. This is to stay on track and remain motivated. As a company, you can use a tool to request for feedback from employees, which they can reply privately, publicly or anonymously. Task Complexity: Be careful so your company’s difficult goals don’t result in complex tasks. Complex tasks are quite overwhelming when not carefully managed. And it leads to loss of motivation and commitment among the employees. Any complex task should be broken down and achieved in bits. 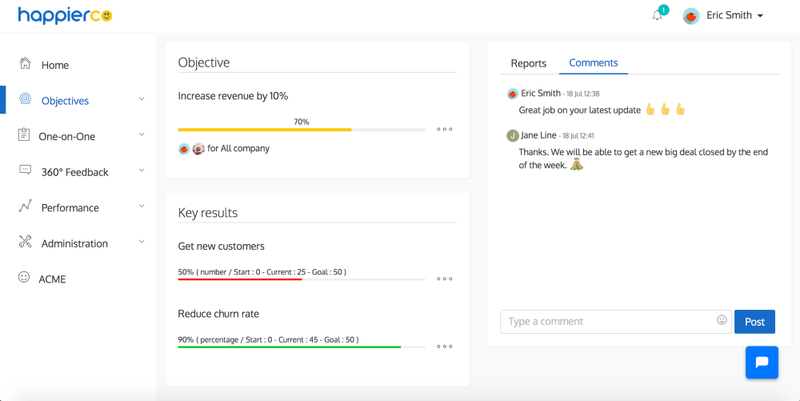 Use a tool that can help manage your goals and keep the entire company in the loop. A goal properly set is halfway reached. So make a difference in your organization with the methods outlined above. And remember, it’s not about what we know but what we practice. So get started now! Read and feel free to express your thoughts in the comment session. And please click and hold down the 👏 button for 10 seconds to show your support!